Which Came First, The Chicken or The Coop? That last sentence is a relationship preserving approach known as “The Subject Switcheroo.” It was a necessary tactical move on my part to remain on track with the task of building a new chicken coop, rather than casting aspersions about how much time we’re still spending on R&D. For several days, Roger has been studying a picture of a chicken coop and has spent hours sketching the design and itemizing and securing all of the materials needed. That was three days ago. Since the materials all arrived, he’s been in the barn treating the wood with a weather stain and preparing to build the new shed. From the look of the pile of materials, I can’t see how it could be possible to not have enough, and think that we may in fact have more than we need. Then again, I haven’t been working on the design for days. Instead, I’ve been busy trying to locate more chickens. Why have just 3 chickens when you can 6 or 7? Mabel & Fey investigating the clearance of the current coop. Sadly, one of our chickens died the other day. 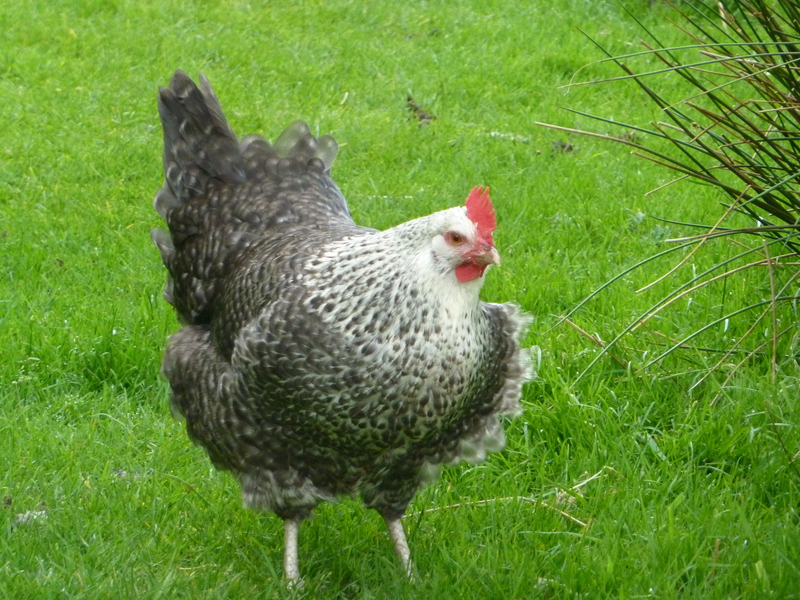 She was a groovy chicken, filled with curiosity, confidence and often seeing us as part of the flock. 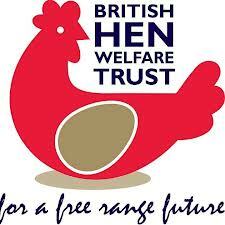 All our chickens are excellent foragers, finding their own food as they range about freely. But, Judy (named for being broody) was the first to take food from our hands and never startled if we tried to pick her up. She taught us a great deal about taking care of chickens. This summer she became broody, meaning that she wanted to sit on a group of eggs to hatch. Since we don’t have a cockerel, the eggs would never hatch, so for over 8 weeks we had to nudge her from her nest to be certain that she nourished herself with food and water. She ultimately emerged from this situation healthy and energetic. Then about a week later, she started molting. During the end of summer into early autumn, many chickens molt. Many do so gradually over about 6 weeks, and it is not noticeable. Judy took a different path and boldly lost most of her feathers in about 3 days, making the coop and the garden look like a down pillow that had been shaken all about. Truly a shocking scene! Molting is stressful for a chicken and seeing her in this condition as the weather was beginning to turn colder was indeed stressful for us. 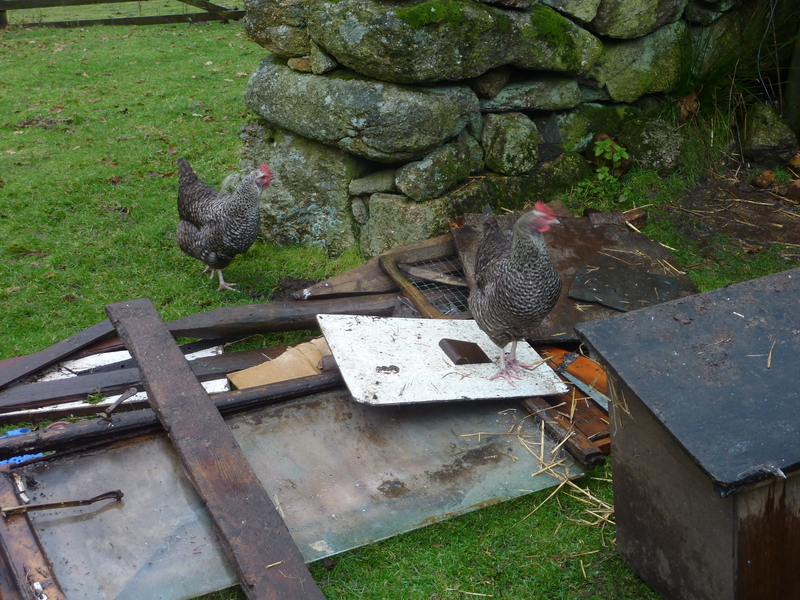 We wanted to make certain that as we headed into winter, all the chickens had a warm and dry house. The current coop is spacious, and could easily house 15 chickens or more. 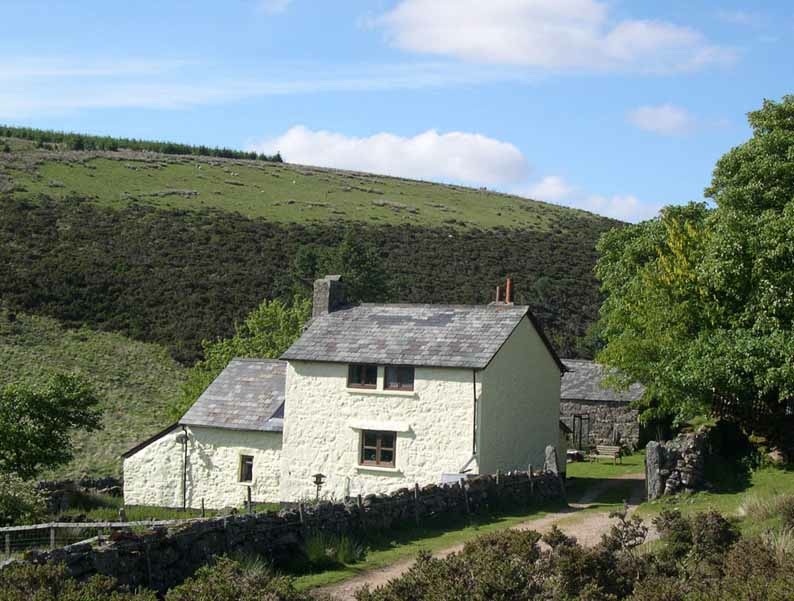 But, it is drafty, has a leaky roof and one timber beam that looks more than a bit rickety. The coop could be a much nicer place. As her feathers were growing back, Judy took a strange turn and we began to find her standing, slightly hunched, looking frail and not interested in eating. For days we watched her, strategically placing food and water nearby, encouraging her to partake. After two weeks, she started to make a comeback: her feathers continued to grow back, she was eating and scratching at the ground, enjoying a dust bath in the shed, and when the afternoon treats were on offer, she would stand with the other chickens. She was back. Then one morning, we found her on the floor of the chicken coop dead. If her death had happened a week before, we wouldn’t have been surprised, but because she was on the upswing, it seemed like the often-reported tale of a chronically ill person’s pre-death rally. Not knowing the best way to dispose of her, we took her to the top of the hill and placed her under a gorse bush. Back to nature but without a lot of fuss. It felt right. Before this event, we were already talking about getting more chickens. We asked around, but no one seemed to have any surplus of chickens. At a local shop, I learned of a local poultry auction as a good place to secure some “point-of-lay” hens. This sounded great! I could easily imagine the two of us wandering the aisles looking at the pure breeds of chickens. Admiring the Brahma with its calm temperament, or the Araucana known for laying blue eggs! What about the lovely Sussex or classic Rhode Island Reds proudly strutting about in their variety of colours? Of course, this being a poultry auction, we anticipated a good selection of geese, turkeys, ducks and maybe guinea fowl being on offer for our consideration, too. Roger and I would walk the aisles and peer into the cages with knowledgeable gazes. Obviously, I would have come by this ability through close and careful study of all the other people who really know what their doing. This would include eaves dropping on their observations and hopefully striking up a conversation with a kind and worldly chicken-auction-tutor. My information gathering would then help us determine which chickens were looking healthy and a good price for them. This was my idea, at least. But, since Roger wasn’t able to come with me, I started to worry about what would really happen. Most likely, I’d see some chickens and bid on them until I had secured them, no matter the price! Then, emboldened by my success, I would bid on a couple of geese since they are supposed to be excellent security for a house. Of course, I would not leave until I also had a couple of ducks. You see I’m weak at auctions. 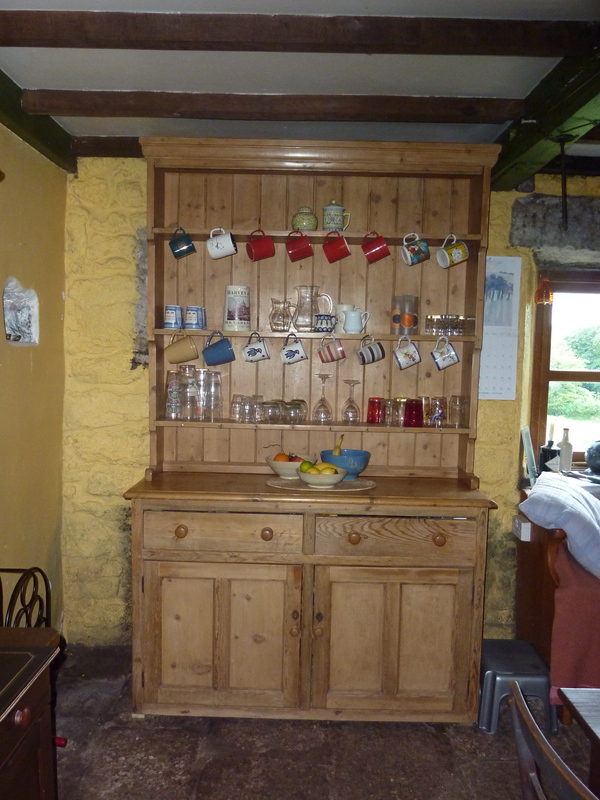 When we first arrived at Crockern, there was a plywood cabinet tilting uncomfortably from the wall in the kitchen. As it was our only cupboard at the time, we used it with care, filling it only with those items in non-breakable jars. When we learned there was a farmhouse kitchen dresser coming up for sale at the local Tavistock auction house, we headed there on the viewing day and gave the dresser the once over. We took measurements, checked for imperfections and that evening at home, discussed and decided our “walk away price”. The following day, we returned to Tavistock for the auction. The place was heaving with people and I instantly began to feel that everyone wanted our dresser. Naturally, we did what everyone was doing: browsing about nonchalantly and attempting to communicate disinterest in everything being auctioned. Who am I kidding? I couldn’t help myself: I gleefully pointed out to Roger that a falling down book shelf would be perfect in the office and that wine rack would do just the trick in the kitchen! “Hey Roger, Will you take a look at this rug? Fantastic!” Even rolled up, I knew it was a winner. All this used stuff, just waiting for our successful bid, could be ours! I have a knack for finding used stuff, yet I don’t like shopping. I have never been one to window shop, or head into a store and just browse. I’m what might be called a necessity shopper: If I need shoes or a coat, I go to a store, see what’s on offer, and make a decision. Where I find a certain thrill is spotting a table that is being put to the curb and giving it a new home. I like strays and our house has many a found object. There is the chair, which our friends were taking to the tip, which sits by our fire and is as spiffy as could be. Or the lamp that just needed some rewiring. I’m not a collector, but when I see something that needs a home and my home needs it, well then, that’s a match made! For me, an auction room is filled with things that for the right price I will find just the right location. Before this auction Roger and I agreed on a strategy whereby he would bid on the dresser. He is cool as a cucumber and I am filled with any number of tells. Watch me in a poker game and it soon becomes obvious if I’ve got a strong hand: my heart races giving a rosy tint to my face, my hands start to shake and I become eagerly determined. I’m not revealing anything that my cousins at the annual Thanksgiving poker game don’t already know. At the auction, I bid on the wine rack and was so successful that I unknowingly landed two! I couldn’t get Roger to agree on the rug, the bookshelves, or the half dozen other bits of tat that I found. When the bidding began for the dresser, Roger was focused and smooth. A slight head nod. A pause. A slight head nod. Another pause. It was clear there was someone else bidding and we couldn’t see them. Who was this cloaked opponent? My heart raced while Roger’s slowed to an elite athletes resting rate. He gave a practiced hesitation, followed by a resigned nod and the dresser was ours for half of what we had agreed as our upper limit! The new dresser in place. While I’m in the States for that Thanksgiving poker game, Roger will be picking up the 4 rescue hens I’ve secured – for free — and giving them a new home. Now, if he can just build that coop in time.